Don’t scoff, it’s true. A well-written blog will, in a roundabout way, help authors sell their books, although blogging is not a direct-sale tactic for most fiction authors. Blogging is actually a value-added marketing strategy. Blogging sells you. 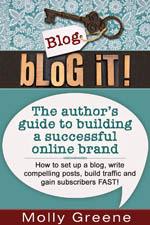 Blogging makes your name recognizable, builds a community that you “own” (not Facebook!) delights Google, and, over time, brings visitors to your site and lets them see what you have for sale. Building a good blog throws you into the lion’s den of social media. If you apply yourself, you’ll learn to navigate popular websites, interact happily and successfully with people online, get a little tech education under your belt by managing your website, and get comfortable with putting your writing out in the world on a consistent basis. In other words, blogging helps you build confidence in many of the skills that are beneficial to a self-published author. And the more comfortable you are, the better you get at book promotion and sales. Professional commission-based sales reps who market any product or service know that selling is all about building relationships. The more interesting, engaging, helpful, encouraging, inspiring, and solution-oriented the salesperson, the better their chances of pulling down big commission checks – both now and in the future. That’s why the best salespeople understand and nurture these qualities in themselves. Successful mortgage loan officers learn this early on in their career: Real estate agents work with them, not necessarily with the company they represent. When an LO builds that loyal following, they can move to another company and their clientele will follow. It’s similar with authors. Your blog gives you an opportunity to share who you are with real and potential readers. Your blog is your “voice.” Who you are shines through. When people like you, they support you – and one of the ways they do it is by buying your books and telling other readers about you. I’ve said this many times before. Consistent, once-a-week blogging just hands-down improves a writer’s skill in all areas of the craft, including fiction. And as we all know, the better the quality of our work, the better the word of mouth, the better the reviews, and the better our titles will sell. I published my first novel in 2012 and didn’t get my second fiction title out until 2013. What I noticed was that after two years of consistent blogging, I wrote faster, better, and with more confidence. Better writing = better books = more sales. If you’re an author, you pretty much have to have a website. One of the reasons for that is so readers can locate you online and learn more about you and your books. Maybe they like a review they read or a guest post you’ve written and go looking for you via Google. Your goal is for your website to show up on page one of Google search results, so you’re easy to find. If you have an unusual name, that’s relatively easy (as long as people know how to spell it). But do you know how many Molly Greenes there are in the world? And famous ones, too. It was an uphill battle for me to eclipse the most popular, but after only one year of blogging, there I was. Google Rules. And if you want Google to be your friend, consistent updates on your website via regular blog posts will make the search engine happy and make you easier to find. When you’re easier to find, people can learn about you and see how cool you are, and, eventually, buy your books. Blogging accomplishes this. Personal essays, short stores, how-to’s explaining subjects you’re passionate about, nonfiction subjects you explore in your novels. Nearly every bog post you write can be repurposed into something else if you have a plan. Is your main character a cosmetologist? Write a 10-chapter giveaway outlining how your readers can create time for themselves in their own home spa, and offer it as a freebie for new subscribers. Each chapter can be a blog post. Or, compile your best essays into a small volume and put it up on Amazon or give it away. Get my drift? Be really smart. Leverage your blog so that nearly everything you write has a dual purpose. If you’re repurposing blog posts, your return on investment (ROI) goes through the roof because posts are moving other projects forward. And the undeniable truth is that free giveaways used as a subscriber incentive will build your email list faster, and more titles help sell more books. Blogging gets you out there in social media in a way that doesn’t scream “BUY MY BOOKS!” By now I think we all know that loading Twitter and social media with aggressive book-buy demands just turns off potential readers and supporters. On the other hand, a well-written blog can build credibility and “social authority,” which just means people know who you are, and, if you’ve done your homework well, they respect your work. And when all these things come together and people are interested in you, they’re more inclined to buy your stuff. I’ll concede that blogging isn’t for everybody, but I’m delighted that I spent time writing blog posts and promoting my blog online. Anne R. Allen agrees and has a great post about it here: How to Blog your Way out of the Slush Pile and onto the Bestseller List. Readers, what do you think? Are you on the fence about a blog, or did you dive in and post up a storm? Leave a comment and share your experiences and concerns! 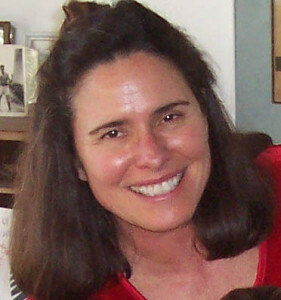 Molly Greene is an author, blogger, and novelist with a preference for reading, writing, and rural life. Her novels include Mark of the Loon and her new release, Rapunzel; nonfiction titles include Blog It! The author’s guide to building a successful online brand, and Buy Your Own Roses and other essays (February 2014). She blogs about her life and self-publishing topics at molly-greene.com. Thank you so much for hosting me, Naomi! I credit my blog with so many things – building confidence, generating content I can repurpose, instilling the discipline to write consistently, and building industry relationships. 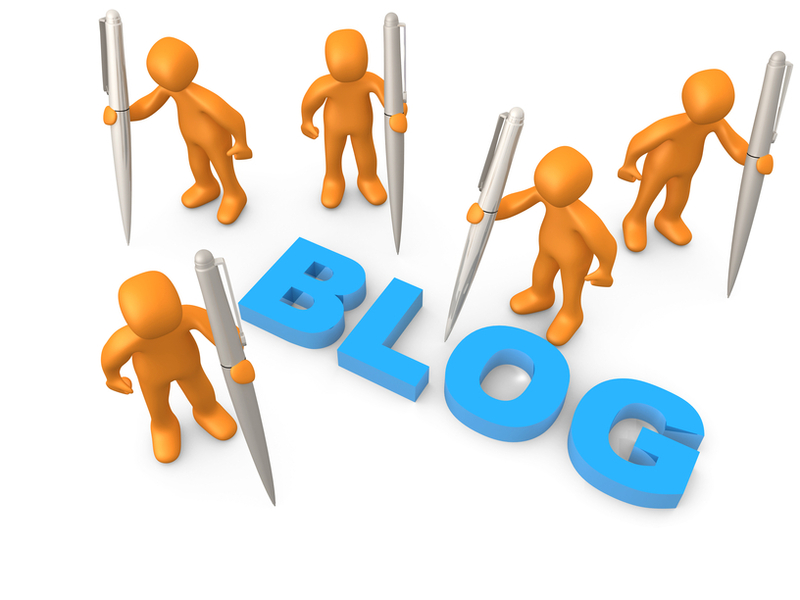 I hope this post gives your readers ideas about how their own blogs can help them prosper! What a great article! I agree wholeheartedly. I’ve been blogging since I started writing, and last month I tracked and blogged about my daily progress during National Novel Writing Month. I found it to be not just a great way to connect and update people about my writing, but it really helped motivate me to stick with the project and win! I hope one day that I can look back over those blog posts with fond memories, while I’m holding the printed book in hand! This really speaks to me. I have been blogging for almost a year now. It was what catapulted my stalled manuscript into a self-published ebook and paperback. My writing improved in content and consistency. I write at a greater speed now as well. Thank you for sharing. Congratulations, Kimberly! And thanks so much for your comment. If you’re like me, blogging sometimes takes tough-love discipline but the commitment sure has paid off. Best to you in all you do!